I tried to take a sundown walk at Reid State Park last night; I met a road block. I glanced at my watch and knew the park’s gate attendant wasn’t going to let me in. There are other places to walk at sundown. There are other places to collect a week’s worth of stories. 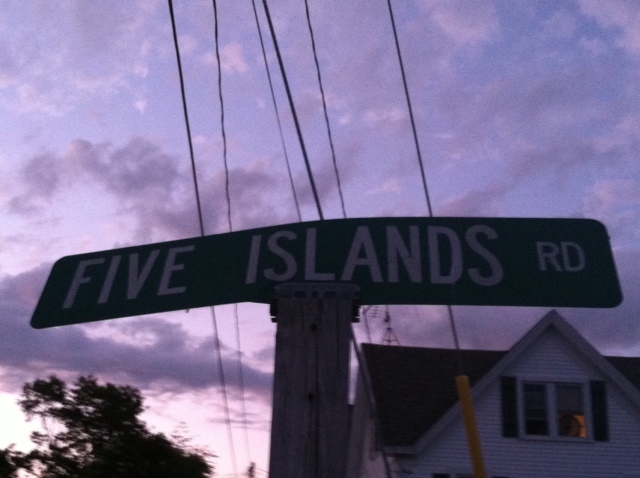 Let “Five Islands Story Week” begin. I need to rest today, though. This entry was posted in Today We Rest and tagged Five Islands, Gotcha with the title, There is beauty in this world. Bookmark the permalink. 2 Responses to I’m in Love! I like the “Road Ends” sign better. I like that sign too. I am going to use it this week. Thanks for stopping by, LP, and helping build anticipation for the end of the road.